1) our company can produce as your drawings or sample. we are the manufcturer with ten years experience. 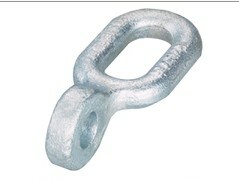 It is used to link clamps to insulator, or to link insulator and ground wire clamp to tower or sujection stucture. It has special type inaccordance with mounting condition.